To the progressive left, virtually any act is justified so long as it is done in the name of what they consider to be right and just, even if said act happens to be illegal. Throwing fireworks at police and intentionally starting riots is against the law, for example, but that sure doesn’t stop groups like Black Lives Matter and more recently Antifa from doing it anyway. They see themselves as rebels fighting against the forces of oppression and intolerance, and that alone is all the justification that they need. 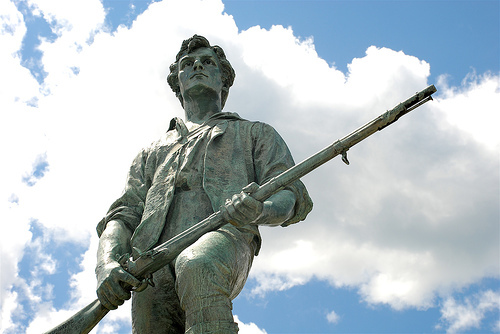 But whether it’s a statue of a Confederate leader, George Washington or Thomas Jefferson, there is one thing that all of these statues that the left wants taken down have in common – they all memorialize white men. The leftists will deny it until the day that they die, but the reality is that many of them have a deeply rooted hatred for people who are not of color. This is why they specifically target historical statues of white men, why they spend so much time talking about “white privilege,” and why they routinely argue that America’s criminal justice system consists of a bunch of white men oppressing minorities. That being said, perhaps it is time to consider making the destruction of these statues a hate crime. The FBI defines a racial hate crime as a “criminal offense against a person or property motivated in whole or in part by an offender’s bias against a race.” Therefore, under federal law, the destruction of statues, when motivated by a strong hatred towards one particular race, should be considered a hate crime, and those who participate should be prosecuted. How would the left react if a bunch of conservatives were running around destroying statues that memorialize black historical leaders? In addition to being called criminals and rabble-rousers, they would be labeled as racists. Why is it not racist, then, when statues of white Confederate leaders, statues of George Washington, or statues of Thomas Jefferson are targeted in the same way? The reason is actually pretty straightforward – the left does not recognize acts of racism when whites are the victims. Only when minorities are the victims do the liberals start making claims of racism, discrimination, and bigotry, which of course is just silly. Racism exists on both ends of the spectrum, and it should come with consequences, regardless of what color is the perpetrator.